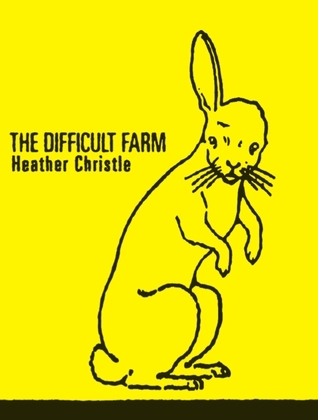 For my second single sentence review, I would like to draw your attention to Heather Christle‘s first collection of poetry, The Difficult Farm. I will also be carrying her sophomore release, The Trees The Trees, on the table– but more on that later. Both titles are releases from Octopus Books. We are lucky enough to have Heather read for us! Which means, yes, you have the opportunity to have her read her poems to you (if you hadn’t heard them on the phone already) and then bring them home to read to yourself later! These poems are hard-core magical incantations, the kind I would get up and say aloud if I was a Quaker at a ‘Friends Meeting’ because they move me in the G way, in the elated prayer sense, but with less consequences and lots more fun.